Nedan följer abstracts på de referenser vi har i skrivelsen, vilket om än långt ifrån uttömmande, så ändå ganska fyllig sammanfattning av evidensen för IPT. Arcelus, J., et al. (2009). ”A case series evaluation of a modified version of interpersonal psychotherapy (IPT) for the treatment of bulimic eating disorders: a pilot study.” Eur Eat Disord Rev 17(4): 260-268. OBJECTIVE: To determine the therapeutic outcome of a modified form of (IPT-BNm) amongst patients with Bulimia Nervosa (BN) and Eating Disorders Not Otherwise Specified (EDNOS). METHOD: Following initial assessment, 59 patients with diagnoses of BN or EDNOS entered treatment in the form of 16 sessions of IPT-BNm. At initial assessment, patients completed measures of general psychopathology (SCL-90), Self esteem (RSE), eating psychopathology (EDE-Q), interpersonal functioning (Inventory of Interpersonal Functioning; IIP-32) and depression (BDI). At the middle and end of treatment, EDE-Q, IIP-32 and BDI measures were repeated. RESULTS: By the middle of therapy, patients had made significant improvements in terms of their eating disordered cognitions and behaviours (including reductions in EDE-Q scores, bingeing and self-induced vomiting), interpersonal functioning and levels of depression. CONCLUSIONS: IPT-BNm is an effective treatment for patients with Bulimic Eating Disorders and appears to work quickly, as there were significant reductions in eating disorders symptoms within the first eight sessions of treatment. Barth, J., et al. (2013). ”Comparative efficacy of seven psychotherapeutic interventions for patients with depression: a network meta-analysis.” PLoS Med 10(5): e1001454. BACKGROUND: Previous meta-analyses comparing the efficacy of psychotherapeutic interventions for depression were clouded by a limited number of within-study treatment comparisons. This study used network meta-analysis, a novel methodological approach that integrates direct and indirect evidence from randomised controlled studies, to re-examine the comparative efficacy of seven psychotherapeutic interventions for adult depression. METHODS AND FINDINGS: We conducted systematic literature searches in PubMed, PsycINFO, and Embase up to November 2012, and identified additional studies through earlier meta-analyses and the references of included studies. We identified 198 studies, including 15,118 adult patients with depression, and coded moderator variables. Each of the seven psychotherapeutic interventions was superior to a waitlist control condition with moderate to large effects (range d = -0.62 to d = -0.92). Relative effects of different psychotherapeutic interventions on depressive symptoms were absent to small (range d = 0.01 to d = -0.30). Interpersonal therapy was significantly more effective than supportive therapy (d = -0.30, 95% credibility interval [CrI] [-0.54 to -0.05]). Moderator analysis showed that patient characteristics had no influence on treatment effects, but identified aspects of study quality and sample size as effect modifiers. Smaller effects were found in studies of at least moderate (Deltad = 0.29 [-0.01 to 0.58]; p = 0.063) and large size (Deltad = 0.33 [0.08 to 0.61]; p = 0.012) and those that had adequate outcome assessment (Deltad = 0.38 [-0.06 to 0.87]; p = 0.100). Stepwise restriction of analyses by sample size showed robust effects for cognitive-behavioural therapy, interpersonal therapy, and problem-solving therapy (all d>0.46) compared to waitlist. Empirical evidence from large studies was unavailable or limited for other psychotherapeutic interventions. CONCLUSIONS: Overall our results are consistent with the notion that different psychotherapeutic interventions for depression have comparable benefits. However, the robustness of the evidence varies considerably between different psychotherapeutic treatments. Brown, W. J., et al. (2016). ”Affective Dispositions and PTSD Symptom Clusters in Female Interpersonal Trauma Survivors.” J Interpers Violence 31(3): 407-424. Interpersonal trauma (IPT) against women can have dire psychological consequences including persistent maladaptive changes in the subjective experience of affect. Contemporary literature has firmly established heightened negative affect (NA) as a risk and maintenance factor for posttraumatic stress disorder (PTSD). However, the relationship between NA and PTSD symptoms is not well understood within IPT survivors, the majority of whom are female, as much of this research has focused on combat veterans. In addition, the connection between positive affect (PA) and PTSD symptoms has yet to be examined. With increased emphasis on ”negative alterations in cognitions and mood . . .” as an independent symptom cluster of PTSD in the Diagnostic and Statistical Manual of Mental Disorders (5th ed. ; DSM-5), understanding the relationship between self-reported affectivity and the classic PTSD symptom clusters may be increasingly useful in differentiating symptom presentations of trauma-related psychopathology. The current study directly compared self-reported trait NA and PA with total severity and frequency cluster scores from the Clinician-Administered PTSD Scale (CAPS) in 54 female survivors of IPT who met criteria for PTSD. Results identify NA (but not PA) as a consistent predictor of total PTSD symptoms and, specifically, re-experiencing symptoms. Campanini, R. F., et al. (2010). ”Efficacy of interpersonal therapy-group format adapted to post-traumatic stress disorder: an open-label add-on trial.” Depress Anxiety 27(1): 72-77. BACKGROUND: Post-traumatic stress disorder (PTSD) is a highly prevalent condition, yet available treatments demonstrate only modest efficacy. Exposure therapies, considered by many to be the ”gold-standard” therapy for PTSD, are poorly tolerated by many patients and show high attrition. We evaluated interpersonal therapy, in a group format, adapted to PTSD (IPT-G PTSD), as an adjunctive treatment for patients who failed to respond to conventional psychopharmacological treatment. METHODS: Research participants included 40 patients who sought treatment through a program on violence in the department of psychiatry of Federal University of Sao Paulo (UNIFESP). They had received conventional psychopharmacological treatment for at least 12 weeks and failed to have an adequate clinical response. After signing an informed consent, approved earlier by the UNIFESP Ethics Review Board, they received a semi-structured diagnostic interview (SCID-I), administered by a trained mental health worker, to confirm the presence of a PTSD diagnosis according to DSM-IV criteria. Other instruments were administered, and patients completed out self-report instruments at baseline, and endpoint to evaluate clinical outcomes. RESULTS: Thirty-three patients completed the trial, but all had at least one second outcome evaluation. There were significant improvements on all measures, with large effect sizes. CONCLUSIONS: IPT-G PTSD was effective not only in decreasing symptoms of PTSD, but also in decreasing symptoms of anxiety and depression. It led to significant improvements in social adjustment and quality of life. It was well tolerated and there were few dropouts. Our results are very preliminary; they need further confirmation through randomized controlled clinical trials. Carter, F. A., et al. (2011). ”The long-term efficacy of three psychotherapies for anorexia nervosa: a randomized, controlled trial.” Int J Eat Disord 44(7): 647-654. OBJECTIVE: To evaluate the long-term efficacy of three psychotherapies for anorexia nervosa. METHOD: Participants were women with broadly defined anorexia nervosa who had participated in a RCT comparing specialized psychotherapies (cognitive behavior therapy, CBT, and interpersonal psychotherapy, IPT) with a control condition (specialist supportive clinical management, SSCM), and attended long-term follow-up assessment (mean 6.7 years +/- 1.2). RESULTS: Forty three of the original sample of 56 women participated in long-term follow-up assessment (77%). No significant differences were found on any pre-selected primary, secondary or tertiary outcome measures among the three psychotherapies at long-term follow-up assessment. Significantly different patterns of recovery were identified for the psychotherapies across time on the primary global outcome measure. Although SSCM was associated with a more rapid response than IPT, by follow-up all three treatments were indistinguishable. DISCUSSION: Potential implications for the timing of interventions to improve treatment response in anorexia nervosa are critically examined. Cuijpers, P., et al. (2016). ”Interpersonal Psychotherapy for Mental Health Problems: A Comprehensive Meta-Analysis.” Am J Psychiatry 173(7): 680-687. OBJECTIVE: Interpersonal psychotherapy (IPT) has been developed for the treatment of depression but has been examined for several other mental disorders. A comprehensive meta-analysis of all randomized trials examining the effects of IPT for all mental health problems was conducted. METHOD: Searches in PubMed, PsycInfo, Embase, and Cochrane were conducted to identify all trials examining IPT for any mental health problem. RESULTS: Ninety studies with 11,434 participants were included. IPT for acute-phase depression had moderate-to-large effects compared with control groups (g=0.60; 95% CI=0.45-0.75). No significant difference was found with other therapies (differential g=0.06) and pharmacotherapy (g=-0.13). Combined treatment was more effective than IPT alone (g=0.24). IPT in subthreshold depression significantly prevented the onset of major depression, and maintenance IPT significantly reduced relapse. IPT had significant effects on eating disorders, but the effects are probably slightly smaller than those of cognitive-behavioral therapy (CBT) in the acute phase of treatment. In anxiety disorders, IPT had large effects compared with control groups, and there is no evidence that IPT was less effective than CBT. There was risk of bias as defined by the Cochrane Collaboration in the majority of studies. There was little indication that the presence of bias influenced outcome. CONCLUSIONS: IPT is effective in the acute treatment of depression and may be effective in the prevention of new depressive disorders and in preventing relapse. IPT may also be effective in the treatment of eating disorders and anxiety disorders and has shown promising effects in some other mental health disorders. Cuijpers, P., et al. (2011). ”Interpersonal psychotherapy for depression: a meta-analysis.” Am J Psychiatry 168(6): 581-592. OBJECTIVE: Interpersonal psychotherapy (IPT), a structured and time-limited therapy, has been studied in many controlled trials. Numerous practice guidelines have recommended IPT as a treatment of choice for unipolar depressive disorders. The authors conducted a meta-analysis to integrate research on the effects of IPT. METHOD: The authors searched bibliographical databases for randomized controlled trials comparing IPT with no treatment, usual care, other psychological treatments, and pharmacotherapy as well as studies comparing combination treatment using pharmacotherapy and IPT. Maintenance studies were also included. RESULTS: Thirty-eight studies including 4,356 patients met all inclusion criteria. The overall effect size (Cohen’s d) of the 16 studies that compared IPT and a control group was 0.63 (95% confidence interval [CI]=0.36 to 0.90), corresponding to a number needed to treat of 2.91. Ten studies comparing IPT and other psychological treatments showed a nonsignificant differential effect size of 0.04 (95% CI=-0.14 to 0.21; number needed to treat=45.45) favoring IPT. Pharmacotherapy (after removal of one outlier) was more effective than IPT (d=-0.19, 95% CI=-0.38 to -0.01; number needed to treat=9.43), and combination treatment was not more effective than IPT alone, although the paucity of studies precluded drawing definite conclusions. Combination maintenance treatment with pharmacotherapy and IPT was more effective in preventing relapse than pharmacotherapy alone (odds ratio=0.37; 95% CI=0.19 to 0.73; number needed to treat=7.63). CONCLUSIONS: There is no doubt that IPT efficaciously treats depression, both as an independent treatment and in combination with pharmacotherapy. 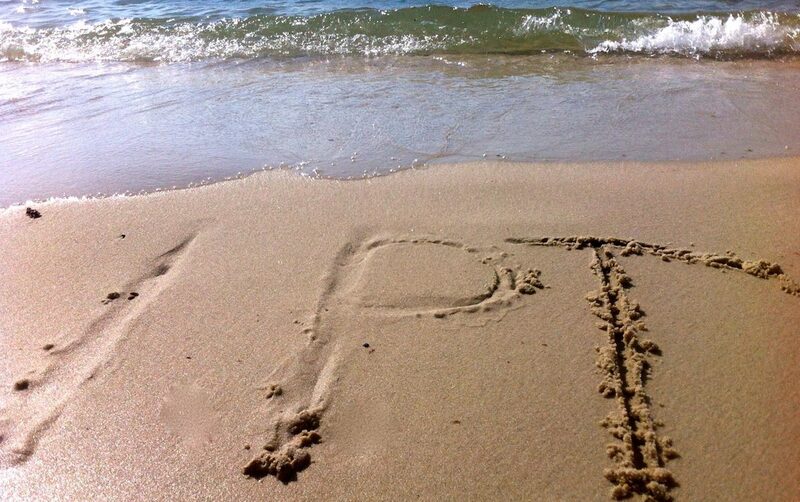 IPT deserves its place in treatment guidelines as one of the most empirically validated treatments for depression. Cuijpers, P., et al. (2017). ”The Need for Research on Treatments of Chronic Depression.” JAMA Psychiatry 74(3): 242-243. Chronic depression is one of the most challenging types of the major depressive disorders to treat, as many patients with chronic depression are resistant to several treatments, leaving clinicians with no or few treatment options available. From a public health perspective, chronic depressive disorders are also problematic because they are responsible for a considerable part of the disease burden of depression. The development of effective treatments for chronic depression is therefore one of the most important challenges for clinical research in depression. Cuijpers, P., et al. (2008). ”Psychotherapy for depression in adults: a meta-analysis of comparative outcome studies.” J Consult Clin Psychol 76(6): 909-922. Although the subject has been debated and examined for more than 3 decades, it is still not clear whether all psychotherapies are equally efficacious. The authors conducted 7 meta-analyses (with a total of 53 studies) in which 7 major types of psychological treatment for mild to moderate adult depression (cognitive-behavior therapy, nondirective supportive treatment, behavioral activation treatment, psychodynamic treatment, problem-solving therapy, interpersonal psychotherapy, and social skills training) were directly compared with other psychological treatments. Each major type of treatment had been examined in at least 5 randomized comparative trials. There was no indication that 1 of the treatments was more or less efficacious, with the exception of interpersonal psychotherapy (which was somewhat more efficacious; d = 0.20) and nondirective supportive treatment (which was somewhat less efficacious than the other treatments; d = -0.13). The drop-out rate was significantly higher in cognitive-behavior therapy than in the other therapies, whereas it was significantly lower in problem-solving therapy. This study suggests that there are no large differences in efficacy between the major psychotherapies for mild to moderate depression. Ekeblad, A., et al. (2016). ”Randomized Trial of Interpersonal Psychotherapy and Cognitive Behavioral Therapy for Major Depressive Disorder in a Community-Based Psychiatric Outpatient Clinic.” Depress Anxiety 33(12): 1090-1098. BACKGROUND: Interpersonal psychotherapy (IPT) and cognitive behavioral therapy (CBT) are both evidence-based treatments for major depressive disorder (MDD). Several head-to-head comparisons have been made, mostly in the United States. In this trial, we compared the two treatments in a small-town outpatient psychiatric clinic in Sweden. The patients had failed previous primary care treatment and had extensive Axis-II comorbidity. Outcome measures were reduction of depressive symptoms and attrition rate. METHODS: Ninety-six psychiatric patients with MDD (DSM-IV) were randomized to 14 sessions of CBT (n = 48) or IPT (n = 48). A noninferiority design was used with the hypothesis that IPT would be noninferior to CBT. A three-point difference on the Beck Depression Inventory-II (BDI-II) was used as noninferiority margin. RESULTS: IPT passed the noninferiority test. In the ITT group, 53.5% (23/43) of the IPT patients and 51.0% (24/47) of the CBT patients were reliably improved, and 20.9% (9/43) and 19.1% (9/47), respectively, were recovered (last BDI score <10). The dropout rate was significantly higher in CBT (40%; 19/47) compared to IPT (19%; 8/43). Statistically controlling for antidepressant medication use did not change the results. CONCLUSIONS: IPT was noninferior to CBT in a sample of depressed psychiatric patients in a community-based outpatient clinic. CBT had significantly more dropouts than IPT, indicating that CBT may be experienced as too demanding. Since about half the patients did not recover, there is a need for further treatment development for these patients. The study should be considered an effectiveness trial, with strong external validity but some limitations in internal validity. Ekeblad, A., et al. (2016). ”Reflective functioning as predictor of working alliance and outcome in the treatment of depression.” J Consult Clin Psychol 84(1): 67-78. Elkin, I., et al. (1989). ”National Institute of Mental Health Treatment of Depression Collaborative Research Program. General effectiveness of treatments.” Arch Gen Psychiatry 46(11): 971-982; discussion 983. We investigated the effectiveness of two brief psychotherapies, interpersonal psychotherapy and cognitive behavior therapy, for the treatment of outpatients with major depression disorder diagnosed by Research Diagnostic Criteria. Two hundred fifty patients were randomly assigned to one of four 16-week treatment conditions: interpersonal psychotherapy, cognitive behavior therapy, imipramine hydrochloride plus clinical management (as a standard reference treatment), and placebo plus clinical management. Patients in all treatments showed significant reduction in depressive symptoms and improvement in functioning over the course of treatment. There was a consistent ordering of treatments at termination, with imipramine plus clinical management generally doing best, placebo plus clinical management worst, and the two psychotherapies in between but generally closer to imipramine plus clinical management. In analyses carried out on the total samples without regard to initial severity of illness (the primary analyses), there was no evidence of greater effectiveness of one of the psychotherapies as compared with the other and no evidence that either of the psychotherapies was significantly less effective than the standard reference treatment, imipramine plus clinical management. Comparing each of the psychotherapies with the placebo plus clinical management condition, there was limited evidence of the specific effectiveness of interpersonal psychotherapy and none for cognitive behavior therapy. Superior recovery rates were found for both interpersonal psychotherapy and imipramine plus clinical management, as compared with placebo plus clinical management. On mean scores, however, there were few significant differences in effectiveness among the four treatments in the primary analyses. Secondary analyses, in which patients were dichotomized on initial level of severity of depressive symptoms and impairment of functioning, helped to explain the relative lack of significant findings in the primary analyses. Significant differences among treatments were present only for the subgroup of patients who were more severely depressed and functionally impaired; here, there was some evidence of the effectiveness of interpersonal psychotherapy with these patients and strong evidence of the effectiveness of imipramine plus clinical management. In contrast, there were no significant differences among treatments, including placebo plus clinical management, for the less severely depressed and functionally impaired patients. Fairburn, C. G., et al. (1993). ”Psychotherapy and bulimia nervosa. Longer-term effects of interpersonal psychotherapy, behavior therapy, and cognitive behavior therapy.” Arch Gen Psychiatry 50(6): 419-428. OBJECTIVE: To determine whether cognitive behavior therapy (CBT) for bulimia nervosa has a specific therapeutic effect and determine whether a simplified behavioral treatment (BT) of CBT is as effective as the full treatment. DESIGN: Randomized controlled trial involving three psychological treatments. Two planned comparisons, CBT with interpersonal psychotherapy (IPT), and CBT with BT. Closed 12-month follow-up period. Independent assessors. SETTING: Secondary referral center. PATIENTS: Seventy-five consecutively referred patients with bulimia nervosa. Patients with concurrent anorexia nervosa were excluded. INTERVENTIONS: Cognitive behavior therapy, IPT, BT conducted on an individual outpatient basis. There were nineteen sessions over 18 weeks. Six experienced therapists administered all three treatments. There was no concurrent treatment. MAIN OUTCOME MEASURE: Frequency of binge eating and purging. RESULTS: High rate (48%) of attrition and withdrawal among the patients who received BT. Over follow-up, few patients undergoing BT met criteria for a good outcome (cessation of all forms of binge eating and purging). Patients in the CBT and IPT treatments made equivalent, substantial, and lasting changes across all areas of symptoms, although there were clear temporal differences in the pattern of response, with IPT taking longer to achieve its effects. CONCLUSIONS: Bulimia nervosa may be treated successfully without focusing directly on the patient’s eating habits and attitudes to shape and weight. Cognitive behavior therapy and IPT achieved equivalent effects through the operation of apparently different mediating mechanisms. A further comparison of CBT and IPT is warranted. The behavioral version of CBT was markedly less effective than the full treatment. Frank, E., et al. (1990). ”Three-year outcomes for maintenance therapies in recurrent depression.” Archives of General Psychiatry 47(12): 1093-1099. Frank, E., et al. (1991). ”Efficacy of interpersonal psychotherapy as a maintenance treatment of recurrent depression. Contributing factors.” Arch Gen Psychiatry 48(12): 1053-1059. In earlier reports, we demonstrated that in patients with recurrent unipolar depression, survival time without a new episode of major depression following discontinuation of medication was significantly and positively related to continued interpersonal psychotherapy (IPT). To determine whether the prophylactic benefit of monthly sessions of IPT was a function of specific features of the intervention, we examined the contribution of the quality of IPT sessions to the length of the well interval in this 3-year maintenance trial. Therapy sessions were rated on specificity and purity of interpersonal interventions. Analysis of these ratings indicated that psychotherapy that was more specifically interpersonal was associated with significantly increased survival time. Patients whose therapy sessions were rated above the median on specificity of IPT had a median survival time of almost 2 years, while those below the median had a median survival time of less than 5 months. We concluded that when patient and therapist are able to maintain a high level of interpersonal focus, monthly sessions of IPT have substantial prophylactic benefit. Friedman, R. A. (2015). Psychiatry’s Identity Crisis. The New York Times. Sunday Review. Jiang, R. F., et al. (2014). ”Interpersonal psychotherapy versus treatment as usual for PTSD and depression among Sichuan earthquake survivors: a randomized clinical trial.” Confl Health 8: 14. BACKGROUND: Without effective treatment, PTSD and depression can cause persistent disability in disaster-affected populations. METHODS: Our objective was to test the efficacy of Interpersonal Psychotherapy (IPT) delivered by trained local personnel compared with treatment as usual (TAU) for Posttraumatic Stress Disorder (PTSD) and Major Depressive Disorder (MDD) among adults affected by the Sichuan 2008 earthquake. A small randomized controlled trial of IPT + TAU versus TAU alone was delivered by local mental health personnel in Shifang, China. Between July 2011 and January 2012, 49 adults >/= 18 years with PTSD, MDD or both were enrolled and randomized to 12 weekly sessions of IPT + TAU (27) or TAU (22) alone x 12 weeks. IPT was then offered to the TAU group. Unblinded follow up assessments were conducted at three and six months. IPT was a 12 session, weekly one hour treatment delivered by local personnel who were trained and supervised in IPT. TAU was continuation of prescribed psychotropic medication (if applicable) and crisis counseling, as needed. MAIN OUTCOME(S) AND MEASURES (S): Clinician Administered PTSD Scale (CAPS) PTSD diagnosis; Structured Clinical Interview for DSM-IV (SCID) for MDD diagnosis. Secondary measures included PTSD/depression symptoms, interpersonal conflict/anger, social support, self-efficacy and functioning. RESULTS: Using an intent-to-treat analysis, 22 IPT + TAU and 19 TAU participants were compared at three months post-baseline. A significantly greater reduction of PTSD and MDD diagnoses was found in the IPT group (51.9%, 30.1%, respectively) versus the TAU group (3.4%, 3.4%, respectively). Despite the small sample, the estimates for time-by-condition analyses of target outcomes (2.37 for PTSD (p = .018) and 1.91 for MDD (p = .056)) indicate the improvement was better in the IPT + TAU condition versus the TAU group. Treatment gains were maintained at 6 months for the IPT group. A similar treatment response was observed in the TAU group upon receipt of IPT. CONCLUSIONS: This initial study shows that IPT is a promising treatment for reducing PTSD and depression, the two major mental health disorders affecting populations surviving natural disaster, using a design that builds local mental health care capacity. TRIAL REGISTRATION: ClinicalTrials.Gov number, NCT01624935. Klein, D. F. (1995). ”Response to Rothman and Michels on placebo-controlled clinical trials.” Psychiatr Ann 25(7): 401-403. Klerman, G. L. and J. M. Davidson (1984). ”Memory loss and affective disorders.” Psychosomatics 25(12 Suppl): 29-35. Klerman, G. L., et al. (1974). ”Treatment of depression by drugs and psychotherapy.” Am J Psychiatry 131(2): 186-191. Krupnick, J. L., et al. (2008). ”Group interpersonal psychotherapy for low-income women with posttraumatic stress disorder.” Psychother Res 18(5): 497-507. The aim of this study was to assess the efficacy of group interpersonal psychotherapy (IPT) for low-income women with chronic posttraumatic stress disorder (PTSD) subsequent to interpersonal trauma. Non-treatment-seeking predominantly minority women were recruited in family planning and gynecology clinics. Individuals with interpersonal trauma histories (e.g., assault, abuse, and molestation) who met criteria for current PTSD (N=48) were randomly assigned to treatment or a wait list. Assessments were conducted at baseline, treatment termination, and 4-month follow-up; data analysis used a mixed-effects regression approach with an intent-to-treat sample. The results showed that IPT was significantly more effective than the wait list in reducing PTSD and depression symptom severity. IPT participants also had significantly lower scores than waitlist individuals on four interpersonal functioning subscales: Interpersonal Sensitivity, Need for Social Approval, Lack of Sociability, and Interpersonal Ambivalence. Lemmens, L. H., et al. (2015). ”Clinical effectiveness of cognitive therapy v. interpersonal psychotherapy for depression: results of a randomized controlled trial.” Psychol Med 45(10): 2095-2110. BACKGROUND: Although both cognitive therapy (CT) and interpersonal psychotherapy (IPT) have been shown to be effective treatments for major depressive disorder (MDD), it is not clear yet whether one therapy outperforms the other with regard to severity and course of the disorder. This study examined the clinical effectiveness of CT v. IPT in a large sample of depressed patients seeking treatment in a Dutch outpatient mental health clinic. We tested whether one of the treatments was superior to the other at post-treatment and at 5 months follow-up. Furthermore, we tested whether active treatment was superior to no treatment. We also assessed whether initial depression severity moderated the effect of time and condition and tested for therapist differences. METHOD: Depressed adults (n = 182) were randomized to either CT (n = 76), IPT (n = 75) or a 2-month waiting list control (WLC) condition (n = 31). Main outcome was depression severity, measured with the Beck Depression Inventory – II (BDI-II), assessed at baseline, 2, 3, and 7 months (treatment phase) and monthly up to 5 months follow-up (8-12 months). RESULTS: No differential effects between CT and IPT were found. Both treatments exceeded response in the WLC condition, and led to considerable improvement in depression severity that was sustained up to 1 year. Baseline depression severity did not moderate the effect of time and condition. CONCLUSIONS: Within our power and time ranges, CT and IPT appeared not to differ in the treatment of depression in the acute phase and beyond. Levkovitz, Y., et al. (2000). ”Group interpersonal psychotherapy for patients with major depression disorder – Pilot study.” Journal of Affective Disorders 60(3): 191-195. Luty, S. E., et al. (2007). ”Randomised controlled trial of interpersonal psychotherapy and cognitive-behavioural therapy for depression.” Br J Psychiatry 190: 496-502. BACKGROUND: Interpersonal psychotherapy and cognitive-behavioural therapy (CBT) are established as effective treatments for major depression. Controversy remains regarding their effectiveness for severe and melancholic depression. AIMS: To compare the efficacy of interpersonal psychotherapy and CBT in people receiving out-patient treatment for depression and to explore response in severe depression (Montgomery-Asberg Depression Rating Scale (MADRS) score above 30), and in melancholic depression. METHOD: Randomised clinical trial of 177 patients with a principal Axis I diagnosis of major depressive disorder receiving 16 weeks of therapy comprising 8-19 sessions. Primary outcome was improvement in MADRS score from baseline to end of treatment. RESULTS: There was no difference between the two psychotherapies in the sample as a whole, but CBT was more effective than interpersonal psychotherapy in severe depression, and the response was comparable with that for mild and moder-ate depression. Melancholia did not predict poor response to either psychotherapy. CONCLUSIONS: Both therapies are equally effective for depression but CBT may be preferred in severe depression. Markowitz, J. C., et al. (2015). ”Is Exposure Necessary? A Randomized Clinical Trial of Interpersonal Psychotherapy for PTSD.” Am J Psychiatry 172(5): 430-440. OBJECTIVE: Exposure to trauma reminders has been considered imperative in psychotherapy for posttraumatic stress disorder (PTSD). The authors tested interpersonal psychotherapy (IPT), which has demonstrated antidepressant efficacy and shown promise in pilot PTSD research as a non-exposure-based non-cognitive-behavioral PTSD treatment. METHOD: The authors conducted a randomized 14-week trial comparing IPT, prolonged exposure (an exposure-based exemplar), and relaxation therapy (an active control psychotherapy) in 110 unmedicated patients who had chronic PTSD and a score >50 on the Clinician-Administered PTSD Scale (CAPS). Randomization stratified for comorbid major depression. The authors hypothesized that IPT would be no more than minimally inferior (a difference <12.5 points in CAPS score) to prolonged exposure. RESULTS: All therapies had large within-group effect sizes (d values, 1.32-1.88). Rates of response, defined as an improvement of >30% in CAPS score, were 63% for IPT, 47% for prolonged exposure, and 38% for relaxation therapy (not significantly different between groups). CAPS outcomes for IPT and prolonged exposure differed by 5.5 points (not significant), and the null hypothesis of more than minimal IPT inferiority was rejected (p=0.035). Patients with comorbid major depression were nine times more likely than nondepressed patients to drop out of prolonged exposure therapy. IPT and prolonged exposure improved quality of life and social functioning more than relaxation therapy. CONCLUSIONS: This study demonstrated noninferiority of individual IPT for PTSD compared with the gold-standard treatment. IPT had (nonsignificantly) lower attrition and higher response rates than prolonged exposure. Contrary to widespread clinical belief, PTSD treatment may not require cognitive-behavioral exposure to trauma reminders. Moreover, patients with comorbid major depression may fare better with IPT than with prolonged exposure. Moreau, D., et al. (1991). ”Interpersonal psychotherapy for adolescent depression: description of modification and preliminary application.” J Am Acad Child Adolesc Psychiatry 30(4): 642-651. Interpersonal psychotherapy (IPT) is a brief treatment developed and tested specifically for depressed adults. This paper describes a modification for use with depressed adolescents (IPT-A) that will be tested in a controlled clinical trial. A description of IPT, its efficacy in adults, a rationale for developing IPT-A, and preliminary experience with depressed adolescents treated with IPT-A are presented. Data available on the treatment of depressed adolescents using drugs and/or psychotherapy is more than a decade behind that of adults. The specification and testing of psychotherapy will accelerate a rational, scientific basis for their treatment. Morrell, C. J., et al. (2016). ”A systematic review, evidence synthesis and meta-analysis of quantitative and qualitative studies evaluating the clinical effectiveness, the cost-effectiveness, safety and acceptability of interventions to prevent postnatal depression.” Health Technol Assess 20(37): 1-414. BACKGROUND: Postnatal depression (PND) is a major depressive disorder in the year following childbirth, which impacts on women, their infants and their families. A range of interventions has been developed to prevent PND. OBJECTIVES: To (1) evaluate the clinical effectiveness, cost-effectiveness, acceptability and safety of antenatal and postnatal interventions for pregnant and postnatal women to prevent PND; (2) apply rigorous methods of systematic reviewing of quantitative and qualitative studies, evidence synthesis and decision-analytic modelling to evaluate the preventive impact on women, their infants and their families; and (3) estimate cost-effectiveness. DATA SOURCES: We searched MEDLINE, EMBASE, Science Citation Index and other databases (from inception to July 2013) in December 2012, and we were updated by electronic alerts until July 2013. REVIEW METHODS: Two reviewers independently screened titles and abstracts with consensus agreement. We undertook quality assessment. All universal, selective and indicated preventive interventions for pregnant women and women in the first 6 postnatal weeks were included. All outcomes were included, focusing on the Edinburgh Postnatal Depression Scale (EPDS), diagnostic instruments and infant outcomes. The quantitative evidence was synthesised using network meta-analyses (NMAs). A mathematical model was constructed to explore the cost-effectiveness of interventions contained within the NMA for EPDS values. RESULTS: From 3072 records identified, 122 papers (86 trials) were included in the quantitative review. From 2152 records, 56 papers (44 studies) were included in the qualitative review. The results were inconclusive. The most beneficial interventions appeared to be midwifery redesigned postnatal care [as shown by the mean 12-month EPDS score difference of -1.43 (95% credible interval -4.00 to 1.36)], person-centred approach (PCA)-based and cognitive-behavioural therapy (CBT)-based intervention (universal), interpersonal psychotherapy (IPT)-based intervention and education on preparing for parenting (selective), promoting parent-infant interaction, peer support, IPT-based intervention and PCA-based and CBT-based intervention (indicated). Women valued seeing the same health worker, the involvement of partners and access to several visits from a midwife or health visitor trained in person-centred or cognitive-behavioural approaches. The most cost-effective interventions were estimated to be midwifery redesigned postnatal care (universal), PCA-based intervention (indicated) and IPT-based intervention in the sensitivity analysis (indicated), although there was considerable uncertainty. Expected value of partial perfect information (EVPPI) for efficacy data was in excess of pound150M for each population. Given the EVPPI values, future trials assessing the relative efficacies of promising interventions appears to represent value for money. LIMITATIONS: In the NMAs, some trials were omitted because they could not be connected to the main network of evidence or did not provide EPDS scores. This may have introduced reporting or selection bias. No adjustment was made for the lack of quality of some trials. Although we appraised a very large number of studies, much of the evidence was inconclusive. CONCLUSIONS: Interventions warrant replication within randomised controlled trials (RCTs). Several interventions appear to be cost-effective relative to usual care, but this is subject to considerable uncertainty. FUTURE WORK RECOMMENDATIONS: Several interventions appear to be cost-effective relative to usual care, but this is subject to considerable uncertainty. Future research conducting RCTs to establish which interventions are most clinically effective and cost-effective should be considered. STUDY REGISTRATION: This study is registered as PROSPERO CRD42012003273. FUNDING: The National Institute for Health Research Health Technology Assessment programme. Mufson, L., et al. (2004). ”A randomized effectiveness trial of interpersonal psychotherapy for depressed adolescents.” Arch Gen Psychiatry 61(6): 577-584. CONTEXT: Adolescent depression is highly prevalent and has substantial morbidity, including suicide attempts, school dropout, and substance abuse, but many depressed adolescents are untreated. The school-based health clinic offers the potential for accessible and efficient treatment, although it is unknown whether school-based clinicians can be trained to implement evidence-based psychotherapies for depression in routine care. OBJECTIVE: To assess the effectiveness of interpersonal psychotherapy modified for depressed adolescents (IPT-A) compared with treatment as usual (TAU) in school-based mental health clinics. DESIGN: A 16-week randomized clinical trial was conducted from April 1, 1999, through July 31, 2002. SETTING: Five school-based mental health clinics in New York City, NY. Patients Sixty-three adolescents referred for a mental health intake visit who met eligibility criteria. Eligible patients had a mean Hamilton Depression Rating Scale score of 18.6 (SD, 5.5) and a mean Children’s Global Assessment Scale score of 52.6 (SD, 5.5) and met DSM-IV criteria for major depressive disorder, dysthymia, depression disorder not otherwise specified, or adjustment disorder with depressed mood. Mean age was 15.1 years (SD, 1.9 years). The sample was predominantly female (n = 53 [84%]), Hispanic (n = 45 [71%]), and of low socioeconomic status. Intervention Patients were randomly assigned to receive IPT-A (n = 34) or TAU (n = 29) from school-based health clinic clinicians. MAIN OUTCOME MEASURES: The Hamilton Depression Rating Scale, Beck Depression Inventory, Children’s Global Assessment Scale, Clinical Global Impressions scale, and the Social Adjustment Scale-Self-Report. RESULTS: Adolescents treated with IPT-A compared with TAU showed greater symptom reduction and improvement in overall functioning. Analysis of covariance showed that compared with the TAU group, the IPT-A group showed significantly fewer clinician-reported depression symptoms on the Hamilton Depression Rating Scale (P =.04), significantly better functioning on the Children’s Global Assessment Scale (P =.04), significantly better overall social functioning on the Social Adjustment Scale-Self-Report (P =.01), significantly greater clinical improvement (P =.03), and significantly greater decrease in clinical severity (P =.03) on the Clinical Global Impressions scale. CONCLUSIONS: Interpersonal psychotherapy delivered in school-based health clinics is an effective therapy for adolescent depression. This effort is a significant step toward closing the gap between treatment conducted in the laboratory and community clinic. Mufson, L., et al. (1999). ”Efficacy of interpersonal psychotherapy for depressed adolescents.” Arch Gen Psychiatry 56(6): 573-579. BACKGROUND: Psychotherapy is widely used for depressed adolescents, but evidence supporting its efficacy is sparse. METHODS: In a controlled, 12-week, clinical trial of Interpersonal Psychotherapy for Depressed Adolescents (IPT-A), 48 clinic-referred adolescents (aged 12-18 years) who met the criteria for DSM-III-R major depressive disorder were randomly assigned to either weekly IPT-A or clinical monitoring. Patients were seen biweekly by a ”blind” independent evaluator to assess their symptoms, social functioning, and social problem-solving skills. Thirty-two of the 48 patients completed the protocol (21 IPT-A-assigned patients and 11 patients in the control group). RESULTS: Patients who received IPT-A reported a notably greater decrease in depressive symptoms and greater improvement in overall social functioning, functioning with friends, and specific problem-solving skills. In the intent-to-treat sample, 18 (75%) of 24 patients who received IPT-A compared with 11 patients (46%) in the control condition met recovery criterion (Hamilton Rating Scale for Depression score < or =6) at week 12. CONCLUSIONS: These preliminary findings support the feasibility, acceptability, and efficacy of 12 weeks of IPT-A in acutely depressed adolescents in reducing depressive symptoms and improving social functioning and interpersonal problem-solving skills. Because it is a small sample consisting largely of Latino, low socioeconomic status adolescents, further studies must be conducted with other adolescent populations to confirm the generalizability of the findings. Murphy, R., et al. (2012). ”Interpersonal psychotherapy for eating disorders.” Clin Psychol Psychother 19(2): 150-158. Interpersonal psychotherapy (IPT) is a leading evidence-based treatment for those eating disorders in which binge eating is a feature. This article begins with a consideration of the rationale for using IPT to treat patients with eating disorders. This is followed by a review of the evidence supporting its use and a brief description of treatment including an illustrative clinical case vignette. The article closes with a discussion of possible future directions for research on IPT for eating disorders. Peeters, F., et al. (2013). ”The clinical effectiveness of evidence-based interventions for depression: a pragmatic trial in routine practice.” J Affect Disord 145(3): 349-355. BACKGROUND: Controversy persists about how effectively empirically-supported treatments for major depression work in actual clinical practice as well as how patients choose among them. We examined the acute phase effectiveness of cognitive therapy (CT), interpersonal psychotherapy (IPT), and combined psychotherapy-pharmacotherapy (PHT) in a naturalistic setting, allowing patients their choice of treatment. METHODS: The study compared CT (n=63), IPT (n=56), CT-PHT (n=34), and IPT-PHT (n=21) for 174 subjects with major depression in a secondary care mood disorders clinic. Patient preference, rather than randomization, determined treatment selection. The Beck Depression Inventory-II (BDI) was the primary outcome variable. Exclusion criteria were minimal. RESULTS: All treatments were associated with a reduction in depressive symptoms, with a 35% remission rate by week 26. Overall improvement was well within ranges reported in efficacy trials. On average, treatment effects of the different interventions straddled the same range, but moderation analyses revealed that BDI scores dropped faster in the first 16 weeks in patients who received CT alone than patients who received CT and pharmacotherapy, a pattern not found in patients who received IPT (with or without pharmacotherapy). LIMITATIONS: Limitations consist of a modest sample size, choice of treatment was made by participants which may have been influenced by many sources, and the absence of a non-active control group. CONCLUSIONS: This study supports the effectiveness of empirically-supported antidepressant treatments selected by patients in routine settings, and provides an indication that speed of therapeutic response may vary amongst treatments. Quilty, L. C., et al. (2008). ”Evidence for the cognitive mediational model of cognitive behavioural therapy for depression.” Psychol Med 38(11): 1531-1541. BACKGROUND: Although empirical support for the efficacy of cognitive behavioural therapy (CBT) as a treatment for major depressive disorder (MDD) is well established, its mechanism of action is uncertain. In this investigation, we examined evidence for the cognitive mediational model in a randomized control trial involving CBT, interpersonal therapy (IPT) and pharmacotherapy (PHT) in patients with MDD. METHOD: One hundred and thirty participants diagnosed with MDD were treated with CBT, IPT or PHT. Participants completed the Hamilton Depression Rating Scale, Beck Depression Inventory-II and Dysfunctional Attitudes Scale prior to and following treatment. RESULTS: The cognitive mediational model, in which dysfunctional attitudes are proposed to mediate depressive symptom reduction in response to treatment, provided a good fit to the data when contrasting CBT v. IPT, with results supporting a mediational role for dysfunctional attitude change in depressive symptom reduction. The complication model, in which dysfunctional attitudes are proposed to be a consequence of depressive symptom reduction, provided a good fit to the data when contrasting CBT v. PHT, with results supporting a mediational role for depressive symptom reduction in dysfunctional attitude change. CONCLUSIONS: There was no evidence for a mediational role for dysfunctional attitude change in IPT. Changes in dysfunctional attitudes accompanied both CBT and PHT; however, empirical evidence suggests that the role of attitudes in treatment outcome may differ between these two treatments. Ray, R. D. and R. Webster (2010). ”Group interpersonal psychotherapy for veterans with posttraumatic stress disorder: a pilot study.” Int J Group Psychother 60(1): 131-140. Group-based interpersonal psychotherapy (IPT-G) was provided to nine male Vietnam veterans with posttraumatic stress disorder (PTSD) to reduce interpersonal difficulties. Standardized measures of posttraumatic stress, depression, interpersonal problems, and functioning were administered pre- and posttreatment and at 2- and 4-month follow-ups. Individual (reliable change indices) and group analyses (repeated measures ANOVAs) indicated improvements in interpersonal and global functioning (not maintained at follow-up), as well as for PTSD and depressive symptoms (maintained at follow-up). Qualitative feedback indicated reduced levels of anger and stress as well as improved relationships. IPT-G for Vietnam veterans shows promise in improving interpersonal functioning and reducing psychological distress. However, since not all improvements were maintained over time, future studies may need to explore relapse prevention strategies. Reynolds, C. F., et al. (2006). ”Maintenance treatment of major depression in old age.” New England Journal of Medicine 354(11): 1130-1138. Robertson, M., et al. (2007). ”Open trial of interpersonal psychotherapy for chronic post traumatic stress disorder.” Australas Psychiatry 15(5): 375-379. OBJECTIVE: The aim of this study was to investigate the feasibility of adapting group-based interpersonal psychotherapy (IPT-G) for patients with chronic post traumatic stress disorder (PTSD). METHODS: Thirteen subjects with DSM-IV-defined PTSD, with symptom duration greater than 12 months, entered the study, an 8-week treatment programme conducted in a clinical setting using IPT-G modified for the treatment of PTSD. Data obtained were analysed qualitatively and quantitatively. RESULTS: All 13 subjects completed the treatment programme and showed significant improvement in social functioning, general wellbeing and depressive symptoms. Treatment completers demonstrated a moderate reduction in the avoidant symptom cluster of PTSD. These improvements appeared stable at 3-month follow-up. Benefits appeared to be associated with perceived intra-therapy progress in resolving identified IPT problem areas. Qualitative analysis found that themes of ’reconnection’ and ’interpersonal efficacy’ were core parts of the experience of the treatment. CONCLUSION: IPT-G modified for PTSD appears to be of modest symptomatic benefit, but may lead to improvement in social functioning, general psychological wellbeing and enhanced interpersonal functioning. Further studies are indicated. Robertson, M., et al. (2004). ”Group-based interpersonal psychotherapy for posttraumatic stress disorder: theoretical and clinical aspects.” Int J Group Psychother 54(2): 145-175. Posttraumatic stress disorder (PTSD) is a condition that engenders both symptomatic distress and severe disruption in interpersonal and social functioning. Most of the empirical research on treatment has emphasized interventions that aim to alleviate the symptoms of PTSD, despite the persisting impairments in social, occupational, and interpersonal functioning. In clinical practice, achieving relief from symptoms such as irritability or phobic avoidance is a worthwhile goal, yet significant distress and disability derived from disruptions to interpersonal attachments, social networks, and confiding intimate relationships persist. Interpersonal psychotherapy (IPT) has been shown to be efficacious in research settings for depression and eating disorders, in both group and individual formats. Recent pilot data also suggests the potential usefulness of IPT in anxiety disorders. The aim of this paper is to provide a rationale for the use of group-based IPT as an intervention for PTSD as part of a management package, arguing from theoretical and clinical viewpoints. The integration of IPT therapeutic processes with the therapeutic group process is discussed, and a detailed case discussion is presented as an illustration. Rossello, J. and G. Bernal (1999). ”The efficacy of cognitive-behavioral and interpersonal treatments for depression in Puerto Rican adolescents.” J Consult Clin Psychol 67(5): 734-745. This study evaluated the efficacy of cognitive-behavioral therapy (CBT) and interpersonal psychotherapy (IPT) with depressed adolescents in Puerto Rico. Seventy-one adolescents meeting Diagnostic and Statistical Manual of Mental Disorders (3rd ed., rev. ; American Psychiatric Association, 1987) criteria for a diagnosis of depression were randomly assigned to 1 of 3 conditions: CBT, IPT, or wait list (WL). Pretreatment, posttreatment, and 3-month follow-up measures of depression symptoms, self-esteem, social adjustment, family emotional involvement and criticism, and behavioral problems were completed. Results suggest that IPT and CBT significantly reduced depressive symptoms when compared with the WL condition. IPT was superior to the WL condition in increasing self-esteem and social adaptation. Clinical significance tests suggested that 82% of adolescents in IPT and 59% of those in CBT were functional after treatment. The results suggest that both IPT and CBT are efficacious treatments for depressed Puerto Rican adolescents. IPT’s impact in other levels of outcome is discussed in terms of its consonance with Puerto Rican cultural values. Rossello, J., et al. (2008). ”Individual and group CBT and IPT for Puerto Rican adolescents with depressive symptoms.” Cultur Divers Ethnic Minor Psychol 14(3): 234-245. This study compared individual (I) to group (G) formats of cognitive-behavioral therapy (CBT) and interpersonal psychotherapy (IPT) for the treatment of depression in adolescents. One hundred and 12 Puerto Rican adolescents were randomized to four conditions (CBT-I, CBT-G, IPT-I, IPT-G). Participants were assessed at pretreatment and posttreatment with structured interviews to establish diagnosis and with self-report measures to assess treatment outcome. The results suggest that CBT and IPT are robust treatments in both group and individual formats. However, CBT produced significantly greater decreases in depressive symptoms and improved self-concept than IPT. The implications of these findings are discussed. Verdeli, H., et al. (2008). ”Group Interpersonal Psychotherapy for depressed youth in IDP camps in Northern Uganda: adaptation and training.” Child Adolesc Psychiatr Clin N Am 17(3): 605-624, ix. This article reviews the use of Interpersonal Psychotherapy (IPT) with depressed youth living in Internally Displaced Persons (IDP) camps in North Uganda. This youth has been exposed to severe losses and disruptions in relationships with caregivers, family, and community members; limited access to formal education; exposure to malnutrition and infections; and pressure to prematurely assume adult family roles. The process of adaptation to the content and training of IPT for these youth is presented and illustrated with case examples. Young, J. F., et al. (2016). ”A Randomized Depression Prevention Trial Comparing Interpersonal Psychotherapy–Adolescent Skills Training to Group Counseling in Schools.” Prev Sci 17(3): 314-324. Given the rise in depression disorders in adolescence, it is important to develop and study depression prevention programs for this age group. The current study examined the efficacy of Interpersonal Psychotherapy-Adolescent Skills Training (IPT-AST), a group prevention program for adolescent depression, in comparison to group programs that are typically delivered in school settings. In this indicated prevention trial, 186 adolescents with elevated depression symptoms were randomized to receive IPT-AST delivered by research staff or group counseling (GC) delivered by school counselors. Hierarchical linear modeling examined differences in rates of change in depressive symptoms and overall functioning from baseline to the 6-month follow-up assessment. Cox regression compared rates of depression diagnoses. Adolescents in IPT-AST showed significantly greater improvements in self-reported depressive symptoms and evaluator-rated overall functioning than GC adolescents from baseline to the 6-month follow-up. However, there were no significant differences between the two conditions in onset of depression diagnoses. Although both intervention conditions demonstrated significant improvements in depressive symptoms and overall functioning, results indicate that IPT-AST has modest benefits over groups run by school counselors which were matched on frequency and duration of sessions. In particular, IPT-AST outperformed GC in reduction of depressive symptoms and improvements in overall functioning. These findings point to the clinical utility of this depression prevention program, at least in the short-term. Additional follow-up is needed to determine the long-term effects of IPT-AST, relative to GC, particularly in preventing depression onset. Young, J. F., et al. (2009). ”Mother-child conflict and its moderating effects on depression outcomes in a preventive intervention for adolescent depression.” J Clin Child Adolesc Psychol 38(5): 696-704. This article reports on mother-child conflict as an outcome and moderator of Interpersonal Psychotherapy-Adolescent Skills Training (IPT-AST), a preventive intervention for depression. Forty-one adolescents (average age = 13.37, SD = 1.19) with elevated depression symptoms were randomized to receive IPT-AST or school counseling (SC). Adolescents in IPT-AST showed significantly greater reductions in mother-child conflict. Baseline mother-child conflict moderated the programs’ effects on depression symptoms. Adolescents in IPT-AST who had high baseline conflict showed significantly greater decreases in depression symptoms than adolescents in SC who had high conflict. Among those adolescents with low baseline conflict, the difference between the two interventions was not significant. Young, J. F., et al. (2012). ”Interpersonal Psychotherapy-Adolescent Skills Training: Effects on School and Social Functioning.” School Ment Health 4(4): 254-264. This paper reports on school and social functioning outcomes in a randomized depression prevention study that compared Interpersonal Psychotherapy-Adolescent Skills Training (IPT-AST) with usual school counseling (SC). Outcome analyses were performed utilizing hierarchical linear models and mixed model analysis of variance. IPT-AST adolescents had significantly greater improvements than SC adolescents in total social functioning and friend functioning during the intervention. IPT-AST adolescents also demonstrated improvements in school, dating, and family functioning and emotional engagement in school, although these improvements were not significantly greater than seen in SC adolescents. Finally, in the 18 months following the intervention, IPT-AST adolescents were less likely than SC adolescents to be asked to leave school for academic or behavioral reasons. These findings extend the potential range of impact of depression prevention programs such as IPT-AST and provide preliminary evidence of the benefits of these programs on school and social functioning. Young, J. F., et al. (2012). ”Interpersonal psychotherapy-adolescent skills training: anxiety outcomes and impact of comorbidity.” J Clin Child Adolesc Psychol 41(5): 640-653. Given the frequent comorbidity of anxiety and depression, it is important to study the effects of depression interventions on anxiety and the impact of comorbid anxiety on depression outcomes. This article reports on pooled anxiety and depression data from two randomized trials of Interpersonal Psychotherapy-Adolescent Skills Training (IPT-AST), a depression prevention program. Ninety-eight adolescents were randomized to receive IPT-AST or school counseling (SC). Outcome and predictor analyses were performed utilizing hierarchical linear models. IPT-AST adolescents had significantly greater reductions in anxiety and depressive symptoms than SC adolescents during the intervention. Baseline anxiety symptoms predicted change in depressive symptoms for adolescents in both intervention conditions, with adolescents low in baseline anxiety demonstrating more rapid change in depressive symptoms than adolescents high in baseline anxiety. These findings indicate that IPT-AST is effective at decreasing both depressive and anxiety symptoms. For adolescents with comorbid symptoms of anxiety, there may be slower rates of change in depressive symptoms following prevention programs. Zhou, X., et al. (2015). ”Comparative efficacy and acceptability of psychotherapies for depression in children and adolescents: A systematic review and network meta-analysis.” World Psychiatry 14(2): 207-222. Previous meta-analyses of psychotherapies for child and adolescent depression were limited because of the small number of trials with direct comparisons between two treatments. A network meta-analysis, a novel approach that integrates direct and indirect evidence from randomized controlled studies, was undertaken to investigate the comparative efficacy and acceptability of psychotherapies for depression in children and adolescents. Systematic searches resulted in 52 studies (total N=3805) of nine psychotherapies and four control conditions. We assessed the efficacy at post-treatment and at follow-up, as well as the acceptability (all-cause discontinuation) of psychotherapies and control conditions. At post-treatment, only interpersonal therapy (IPT) and cognitive-behavioral therapy (CBT) were significantly more effective than most control conditions (standardized mean differences, SMDs ranged from -0.47 to -0.96). Also, IPT and CBT were more beneficial than play therapy. Only psychodynamic therapy and play therapy were not significantly superior to waitlist. At follow-up, IPT and CBT were significantly more effective than most control conditions (SMDs ranged from -0.26 to -1.05), although only IPT retained this superiority at both short-term and long-term follow-up. In addition, IPT and CBT were more beneficial than problem-solving therapy. Waitlist was significantly inferior to other control conditions. With regard to acceptability, IPT and problem-solving therapy had significantly fewer all-cause discontinuations than cognitive therapy and CBT (ORs ranged from 0.06 to 0.33). These data suggest that IPT and CBT should be considered as the best available psychotherapies for depression in children and adolescents. However, several alternative psychotherapies are understudied in this age group. Waitlist may inflate the effect of psychotherapies, so that psychological placebo or treatment-as-usual may be preferable as a control condition in psychotherapy trials.